I don't have a real valentine, I never actually have, but for some reason I still love the holiday, I still maintain the childhood innocence of it all. Giving cards and candy hearts to friends, wearing red, white and pink and just enjoying the day. My friend and I decided to be valentines this year, I got her these really cute mini food erasers and she gave me a cookie gram! I am ALWAYS freezing. 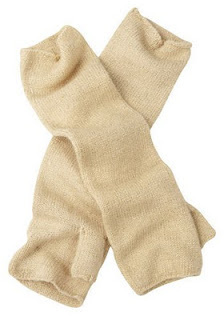 These would be prefect because they are cute and they would allow me to use my fingers. As it is now, typing with mittens or regular gloves, isn't always easy. I have a thing for rubber duckies. I have a sparkly key chain that I love and had to have as soon as I saw it. Next I want rubber ducky pjs. 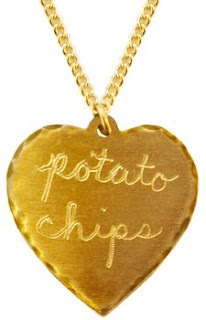 I love the quirkiness of this necklace, I just can't explain it. I love the randomness! These are so cute! I have a thing for food like products. I love them. I have one, that I got at the toy store where I work. But of course they are sold by Fred Flare! Its not too long of a list but its just a taste of what I like. 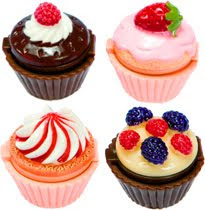 Cupcakes and chocolate are always appreciated. From Cupcakes Take the Cake. 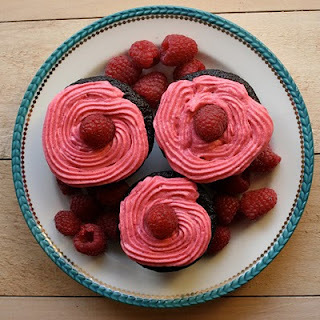 I love browsing this blog to see all the amazing cupcakes that people make. I watched the Olympic Opening Ceremonies on Friday! I am so excited to watch the figure skating, I can't wait to cheer Team Canada on. 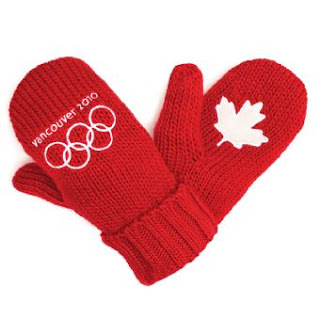 I got myself a pair of the red mittens that everyone seems to be wearing, they are really warm. I hope that everyone has an amazing Valentines Day. I am going to see the movie Valentines Day tomorrow, I can't wait! Hopefully it will live up to the hype! Enjoy the day with your sweetheart or friends or family. Im a new reader of your blog and I absolutely adored your post but not only that, i read your about me section and i have to tell you that i also LOVE gilmore girls! The duckie earbuds are so cute! 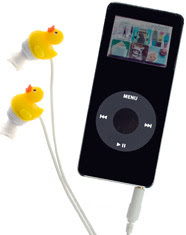 Those duck earbuds are so adorable! I want them!